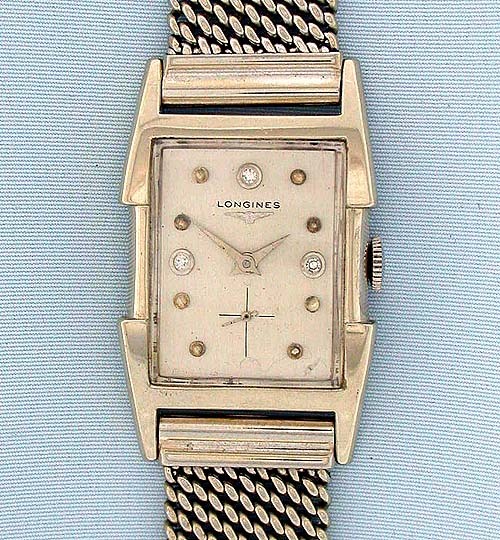 Longines geometric 14K white gold vintage wrist watch with diamond dial circa 1953. Original dial with applied gold markers and three diamonds. 17 jewel nickel 9LT movement. 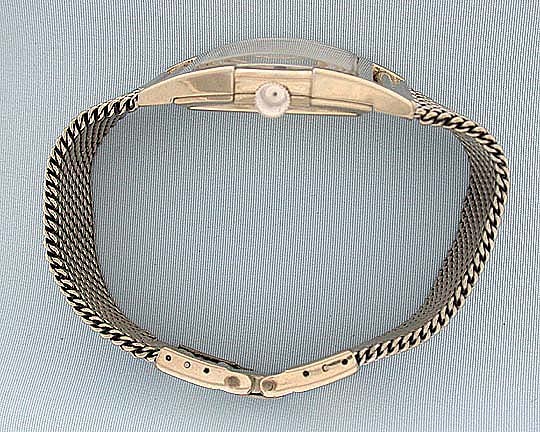 White gold filled mesh band.